As spring slowly creeps in, so excruciatingly slowly, I’ve got my own recommendation for a little warm weather reading. I’ve started to shy away from doing book reviews for many reasons, but every so often, I’ll fall in love with an author or title and can’t stop myself. For this hop, I’d like to recommend The Others series by Anne Bishop. The first book in this series, Written in Red, stole my heart. The story is set in an alternate universe, which is surprisingly like the world we know at times, where everything is controlled and owned by shifters, also known as the Others. The humans and the Others have had a long history of clashes and misunderstandings. When Meg enters the scene, we get to experience how she starts to integrate into their closed society and it’s absolutely captivating. These books have everything I personally love in a story. They are dark fantasy, my favorite genre, with a slow progressing romantic relationship. They do tend to be a bit slow going, but the writing is so beautiful and charming that it didn’t bother me at all. If you are looking for a good read for a sunny day at the park, I highly suggest these. The lovely hosts of this hop are offering up some great grand prizes. For entries to the grand prizes, leave your name and email in the comments section of the various blogs participating. Each blog will be hosting their own individual giveaway as well, so there are a lot of prizes to win! 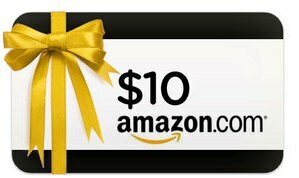 My personal giveaway is a $10 Amazon gift card. I have both of Anne Bishop books sitting on top of my TBR pile. I’ve heard good things about them and can’t wait to dig in. Wow thanks for the great giveaway! 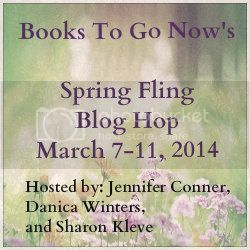 Thanks for the giveaway and being part of the blog hop. I love spring when the weather gets warmer, the kids can go outside and the blossom is starting to bloom on the trees. makes the school run so much more enjoyable. I celebrate Spring by beautifying my front porch with all manner of plants, flowers and decorative pots. I finish up with a new cushion for my favorite chair and I’m set for endless days of reading and relaxing. I celebrate spring by doing the annual spring cleaning. Out with the old, in with the new! My name is robyn donnelly email: robyndonnelly@ymail.com. I look forward to this. Thanks. Thank you, everyone, for your participation! The blog hosts are picking winners from the comments by random at 5 MST tonight for the grand prizes. If you are one of the winners, they will notify you by email. Thanks again!